Our range of products include stainless steel rack for kitchen. We have emerged ourselves as a leading name in industry for supplying, trading and wholesaling a large gamut of Stainless Steel Rack for Kitchen.These racks are available in different sizes and designs as per the clients’ diverse requirements. 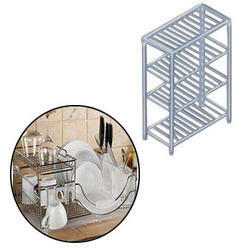 Looking for Stainless Steel Rack for Kitchen ?